A narrow asphalt path that runs along Fall Creek, paralleling Fall Creek Parkway. 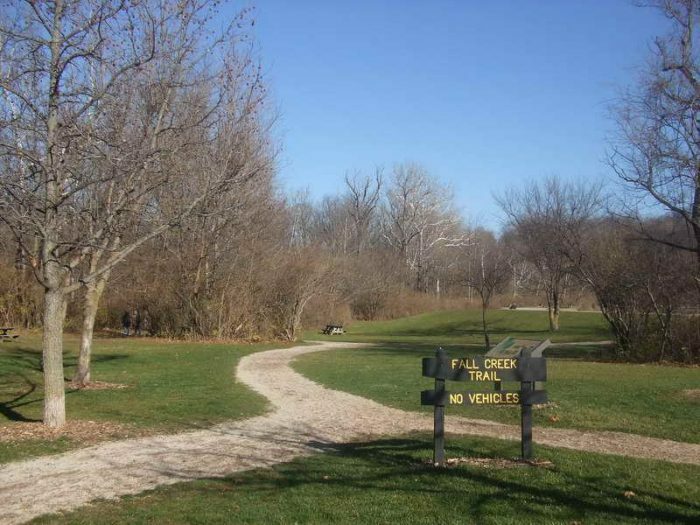 The trail runs for 9.5 miles from 25th and Meridian (just south of the Childrens Museum), George E. Kessler Park, along Fall Creek all the way up to Skiles Test Nature Park on 65th street, the northern endpoint. This is a popular trail for runners. The trail is is marked at 1/4 mile increments in white paint. Along the way you’ll pass century-old bridges, established neighborhoods, and scenic views of the waterway. The trail passes a few industrial areas, but for the most part, it is filled with blooming trees and a rural feel. At 56th St., the 6-mile mark, there’s a Starbucks if you need a break or a restroom. Hi, I do believe this is a great web site. I stumbledupon it 😉 I am going to revisit yet again since I saved as a favorite it.